Oil production has been steadily growing every year in Canada, but the International Energy Agency isn’t fully convinced the trend will continue in 2019. The IEA pointed to the lack of spare export pipeline and rail capacity as key factors, as well as the Alberta government’s decision to curtail production, in what it sees as a sluggish outlook for Canada’s oilpatch. “We were expecting some growth in 2019. 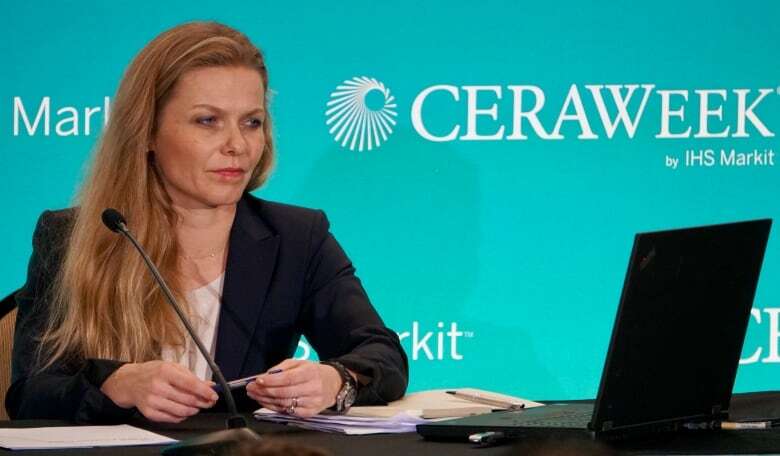 Now with production cuts and rail capacity not keeping pace, that’s in question,” IEA oil analyst Toril Bosoni told journalists at CERAWeek, an international energy conference in Houston. Bosoni said there is considerable uncertainty when new pipelines, such as the Trans Mountain expansion and Enbridge’s Line 3 project, can be expected. As a result, “we’re seeing very little investment going into further development” of new oil production, she said. The outlook for Canada is a stark contrast to the situation south of the border, where tax cuts, relaxed regulations and new technology have promoted growth. Oil production growth continues to surge in the U.S., and the IEA expects American oil exports to surpass Russia and nearly reach Saudi Arabian levels in the next five years. “Ladies and gentlemen, the second wave of shale revolution is coming,” said Fatih Barol, executive director of the IEA. The U.S. is attracting investment from around the world as the use of hydraulic fracturing to drill for oil in shale rock has unlocked vast amounts of crude in places like Texas. The fracking technology is why the U.S. experienced the highest oil production growth of any country in 2018. 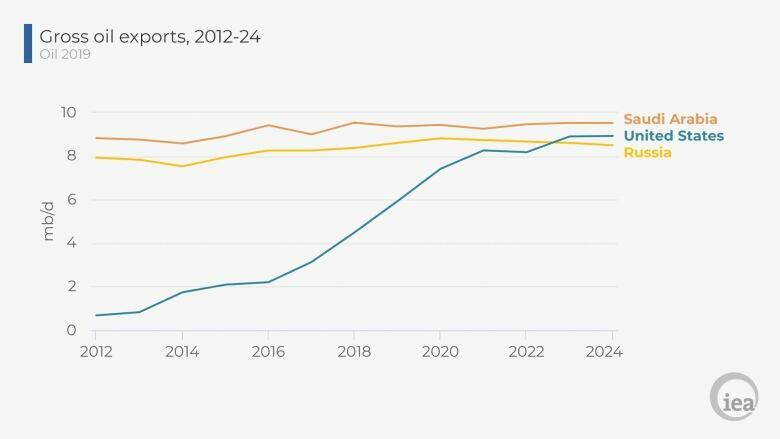 U.S. oil output will climb to 19.6 million barrels per day by 2024 from 15.5 million last year, the IEA said in its annual five-year oil outlook report. Some analysts still expect Canadian oil production to increase, including Kevin Birn with IHS, who said more than 100,000 barrels per day of growth is possible. In 2018, Canada produced about 4.3 million barrels per day. “I think there’s a lot of confusion about what Canada will be able to muster,” he said, in part because of the Alberta government’s curtailment policy. The government has eased back on the limit since it was introduced in January. Birn says there is “a lot of capacity being pent up in Canada” and the oil production growth will occur as the curtailment policy is reduced and new oilsands expansion projects are completed.